Disney’s California Adventure closed at 9 pm that night, right after we finished dinner. 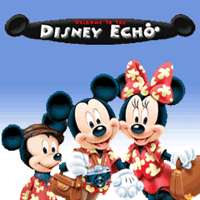 So all of us headed into Downtown Disney for some window shopping. 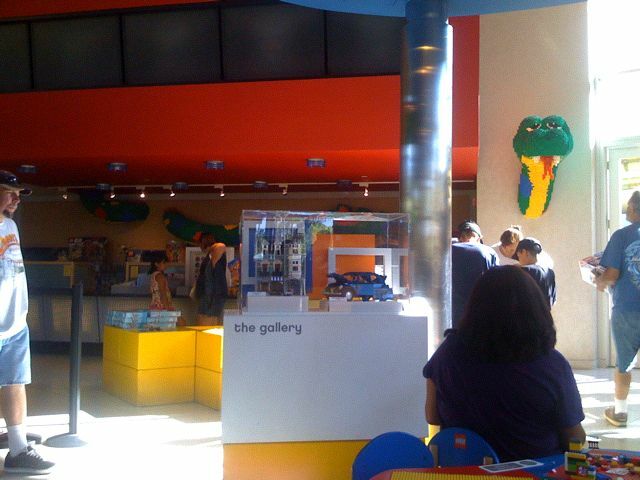 Of course, Michael said there were some things we just had to see in the Lego Store, so we followed him inside. 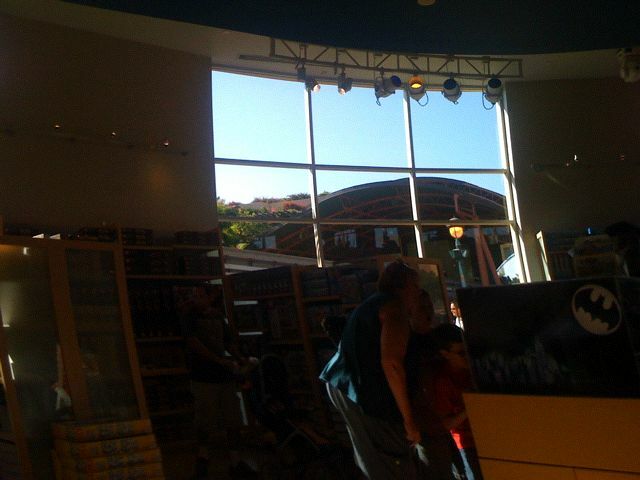 At the back check-out counter of the Downtown Disney Lego Store was bad show with the mops and brooms visible to guests. 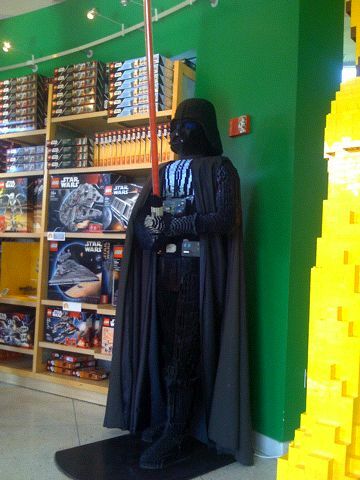 We went back later in the week on Wednesday afternoon when Michael decided what he wanted to buy. 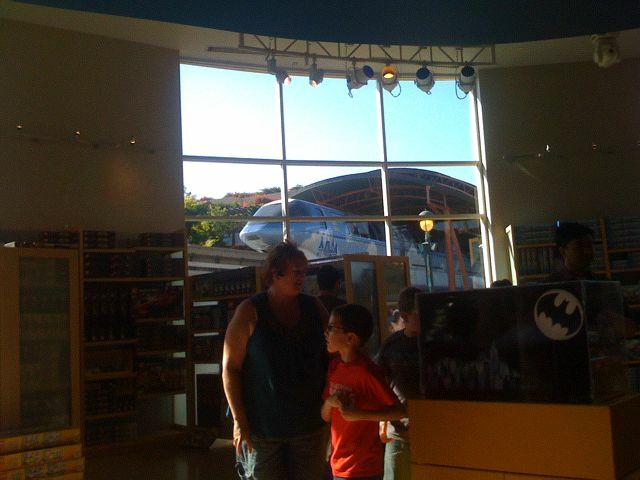 While we were there we caught a cool view of the new monorail going by right outside the store.